Expion F.A.V.E. = FAN - ACTIONS - VOLUME - ENGAGEMENT. 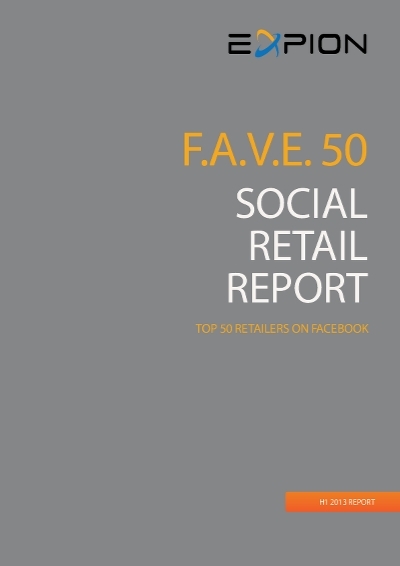 The top 50 US retail brands on Facebook. According to key social trends in the industry, as well as winners and losers across brands, the total number of Fan Actions that were generated across all posts and post types in both engagement and volume during a six months time period.